The new Uber Scoot ES06 range is available in 500W, 800W, 1000W and 1200W versions. 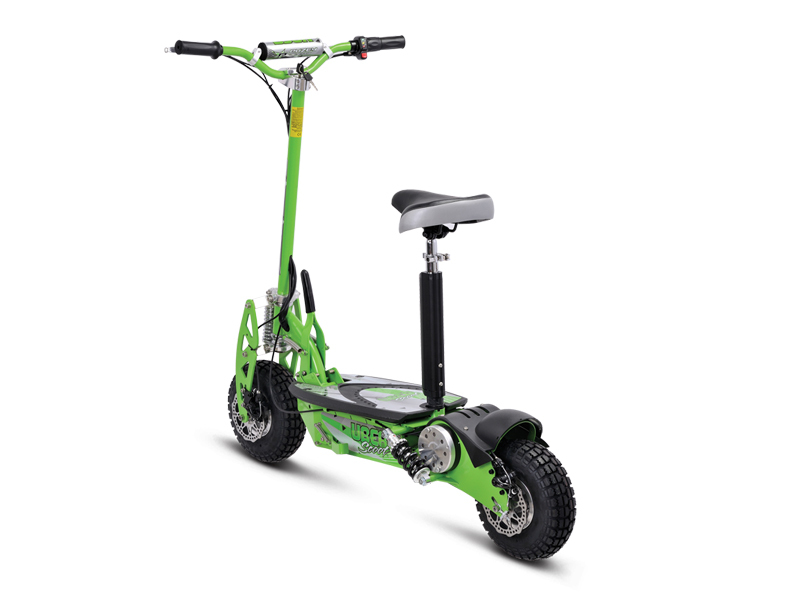 Introduced as a more affordable alternative to the Uber Scoot selection, the ES06 models now have an optimised charge range and with the weight of the 1000W reduced to only 30kg, make the ES06 range the ideal short and long distance daily commuters. 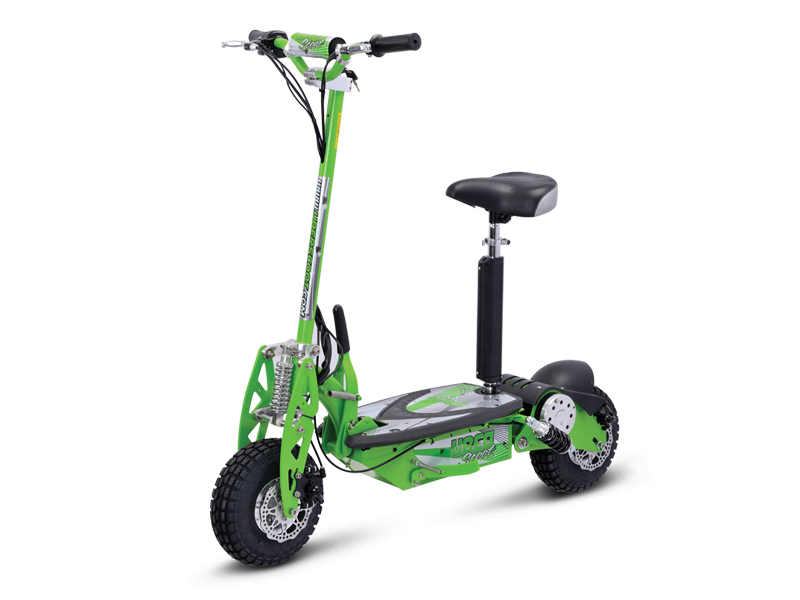 The ES06 1000W comes standard with front suspension, larger 12” inflatable cross tread stability tyres, a removable seat, DC brush motor, water resistant electronics, an LED lighting system and standard SLA gel 36V (18km range) batteries. Available Accessories: Helmets, gloves and protective gear.